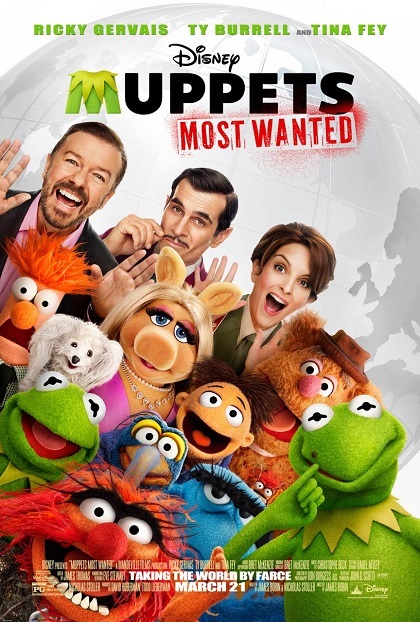 The Muppets are back again, for their 8th theatrical release. Or, you could say the last movie, “The Muppets”, was kind of a reboots, so this would make movie #2 in modern Muppet movies. Anyway, this movie starts immediately where the first movie. They’re confused on what to do next. So, they decide on a sequel. At this time, in a Siberian prison, a dangerous frog named Constantine is planning his escape. This wouldn’t concern us, except for the fact he looks exactly like Kermit. Well, except for a mole on his face. 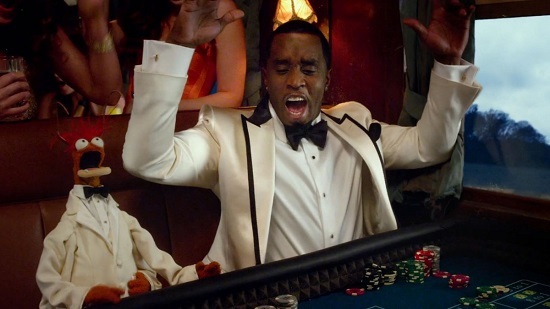 Unbeknownst to the Muppets, Constantine’s associate has disguised himself as a talent agent, Dominic Badguy. He gets the Muppets to agree to go on a world tour with their show. 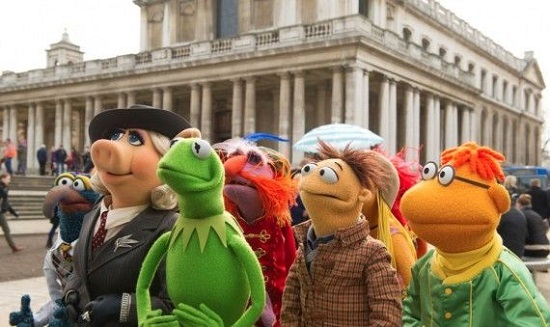 When they get to their first stop in Berlin, Germany; Kermit realizes the show is going to be a disaster. No one will listen to Kermit, they all want to do their own thing. Dominic suggests Kermit take a walk to clear his head. However, when Kermit goes out, Constantine slaps a fake mole on Kermit, and covers up his own mole. 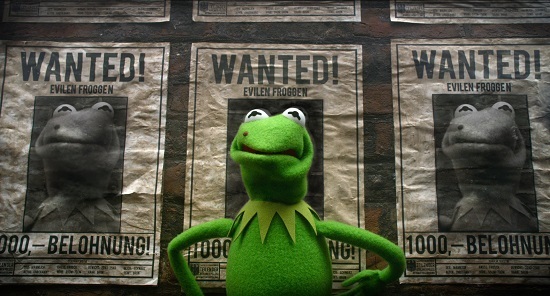 Kermit gets arrested because everyone thinks he’s Constantine. Constantine disguises himself as Kermit. Now Dominic & Constantine and tour to theaters next to the place they want to rob. It’s the “perfect” cover up. Will the rest of the Muppets notice that “Kermit” is acting different? And will the real Kermit make it out of jail? Oh, Also, there’s a Monster’s University short in front of this movie that is hilarious!! 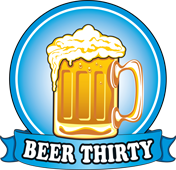 Don’t be late to the show and miss this!